0.1 So, you want to discover Gran Canaria beyond the resorts, do you? A rather accessible day trip from the likes of Playa del Inglés is the de facto capital of Santa Lucía de Tirajana, Vecindario. We recommend things to do there. So, you want to discover Gran Canaria beyond the resorts, do you? A rather accessible day trip from the likes of Playa del Inglés is the de facto capital of Santa Lucía de Tirajana, Vecindario. We recommend things to do there. We’re committed to showing you around Gran Canaria. Our island area guides are thoroughly researched, dripping with detail. Not least this latest five-part overview of things to do in Vecindario. 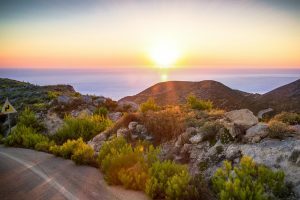 Travelling from Gran Canaria airport to Vecindario by car will ordinarily see your four wheels negotiate the 11.8km southerly journey along the island’s major motorway, the GC-1, in 11 minutes. If heading there in the opposite direction from Maspalomas, allow 20 minutes on the journey front. Add 10+ minutes if your starting point’s Puerto Rico. Your travelling time will be multiplied if you opt to take a bus. Global’s as-the-snail-crawls number 1 will see your rear parked for over a hour from Puerto Rico. 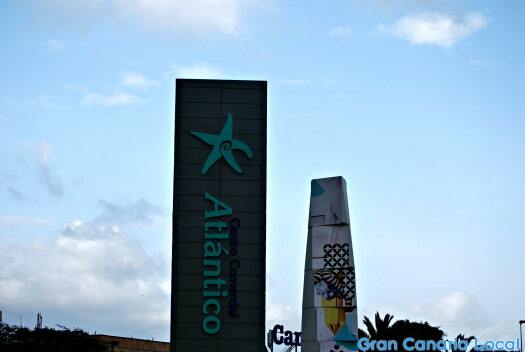 For an alternative ride, take the number 5 which links the Gran Canaria capital with Maspalomas via Vecindario. Just as Maspalomas has usurped municipal capital Tunte in neighbouring San Bartolomé de Tirajana, Vecindario has become more significant than the titular Santa Lucía de Tirajana. Resulting in a greater choice on the eating-out front. With more restaurants than anywhere else in the municipality. Restaurante Humus on Paseo Iqbal Masih specializes in rice dishes such as Risotto de Setas de Temporada (seasonal mushroom risotto), Paella Marinera (seafood paella), and Arroz a Banda de Bogavante (Alicante-style rice with lobster). The rice is similarily nice at Pérez Galdos’ Casa Nora which also grills a mean meat and prepares fresh as opposed to frozen fish dishes. Elsewhere, stepping through the doors at La Centrifuga’s La Mexicana will transport you to Central America with mariachi, tacos, and tamales. Other restaurants we recommend in the area include Taberna Emilio on Calle Sagasta where you can warm up inside with a goat stew if the wind is doing its worst outside (Vecindario is one of the most blustery areas on the island). Then there’s Benartemi’s Ohasis Gastrobar whose terrace is the perfect spot to enjoy tapas if it’s not too gusty. Not forgetting Centro Comercial Atlántico’s Il Mondo Della Pizza whose speciality pizzas count the Tricolore (tomato, cheese, pesto, cream, prawn, and leek) amongst their number. Centro Comercial Atlántico‘s the main shopping centre in town. Easy to park at, it’s also close to a major bus stop and the GC-1. 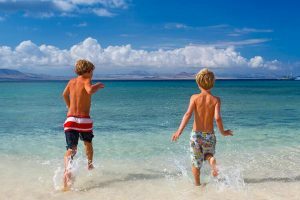 As well as (mainly Spanish) brand names such as Carrefour hypermarket, Mango clothing, and Zara fashion, you’ll find smaller, Canarian outlets such as Lenita & XTG swimwear and underwear, Swiss Shop 4 U alpine aficionados, and Yogi Jeans. Heading inland away from the closer-to-the-coast GC-1, you’ll find a sign of Vecindario’s continuing gentrification in Calle Tauro with a branch of Leeds greatest export, Marks & Spencer. Then there’s the pedestrianized Paseo Comercial. This high street houses the likes of Luz Cs ladieswear, Modas Gilfanty specializing in formal dresses, and Top Queens (an Alicante-originating women’s fashion emporium). The four-star Elba Vecindario Aeropuerto‘s the pick of Vecindario hotels. 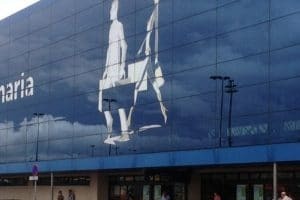 A cheaper option is the bright and (suitably given the local weather) breezy two-star Hotel Avenida de Canarias. And if you’re after a holiday home, Gran Canaria Rent have a selection to choose from in and around Vecindario. Planning on relocating to Vecindario? Have a look at what the three major estate agents in the area have to display in their windows. Inmobilaria Costa Canaria‘s on Avenida del Atlántico, Sumatos Real Estate‘s on Calle Jeronimo Falcon, and Calle Acusa’s home to Global House Canarias. Visit the Museo de la Zafra on Calle Isla de La Graciosa by day to discover Santa Lucía de Tirajana’s agricultural past. Including details about the arrival of the tomato, a Canarian cash crop, from Mexico. By night, the Teatro Víctor Jara is more concert venue than theatre.